Does nuisance wildlife keep finding their way into your house? 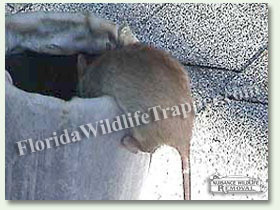 One access point for small animals is the plumbing vent that connects to your indoor plumbing. Leaks? 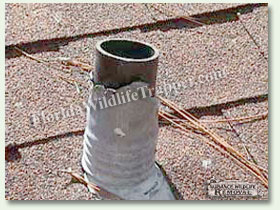 Wildlife chews on flashing used to make the stack, leaving holes and the potential for more problems including water damage to your structure. Now this entryway can be stopped. Stack Guard provides a simple solution to plumbing stack problems. As the only Wildlife Control Professional buying directly from the manufacturer, we have complete access to their full line of products. 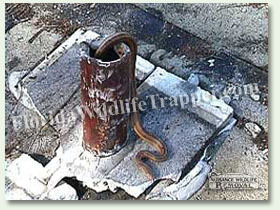 Call today to schedule your wildlife home inspection and find out how Stack Guard can help save you money on future repairs and problems.